These loaded fries for two are a restaurant-style treat that’s simple to make at home! 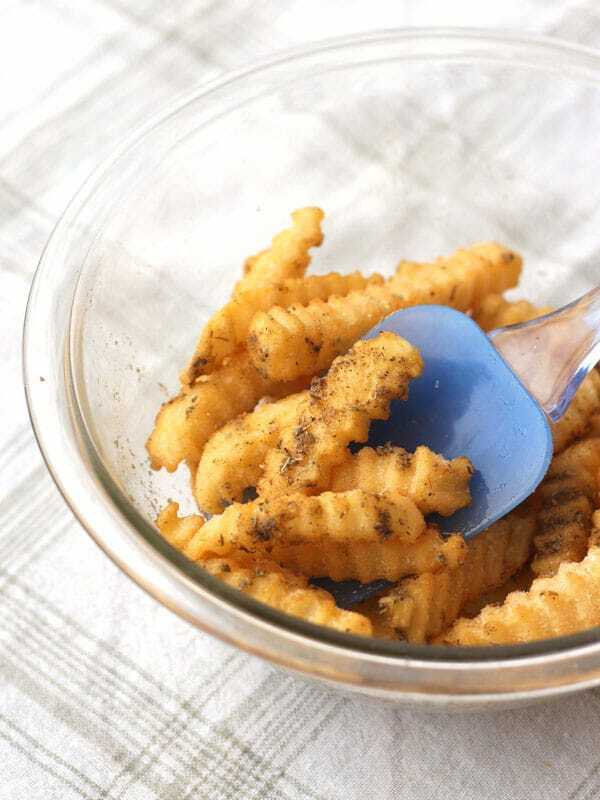 The secret to this easy recipe is using basic frozen fries and amping up their flavor with a few pantry seasonings. 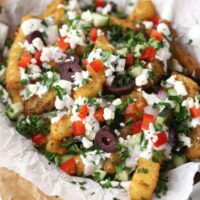 This recipe used to be the delicious surprise at the end of our must-read post 3 Toaster Oven Tips For Baking Epic Frozen Fries (AKA Crispy). If you haven’t skimmed those tips (which work for ALL frozen foods, not just fries) and committed them to memory, go do it now. I’ll wait. Cool, now that you know about the whole pan, rack, convection stuff let’s talk about these crazy good loaded fries! and you can enjoy them without pausing your Netflix binge, putting on ‘outside’ pants or even leaving the house. Yep, that’s true love you’re feeling. 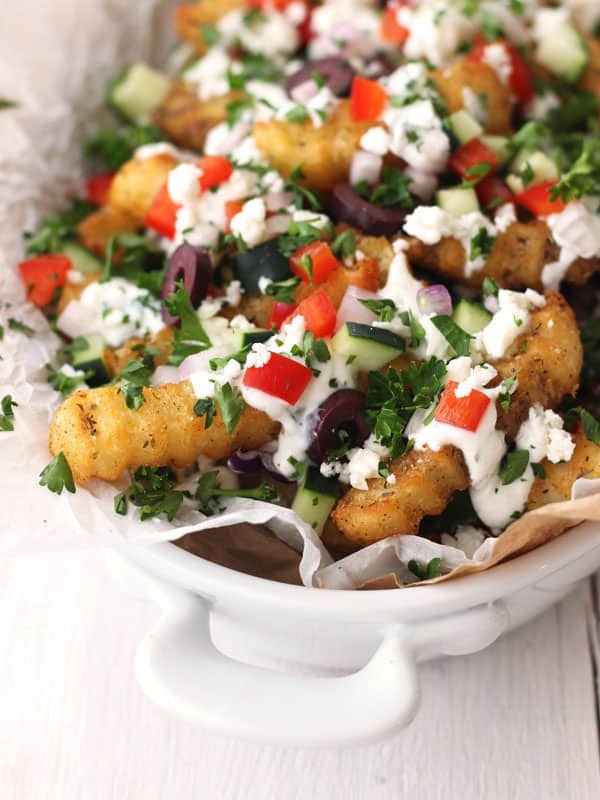 Crispy seasoned fries topped with a Greek yogurt sauce, fresh veggies, and crumbled feta. In a large bowl combine frozen fries, oil, and seasoning. Stir well to coat. 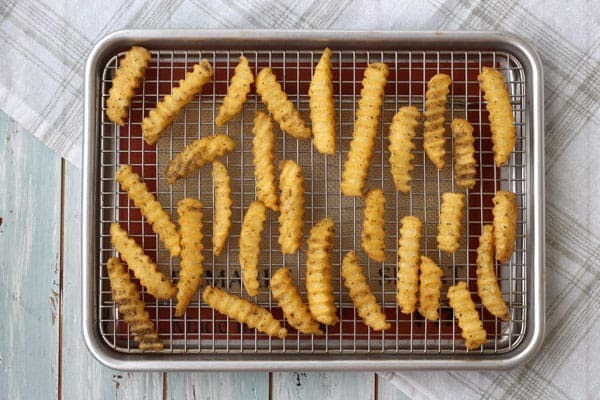 Arrange fries in an even layer on a small wire baking rack. 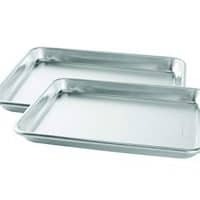 Place rack in a pan and cook in your toaster oven according to the package directions. While the fries bake prepare the yogurt sauce. In a small bowl, whisk together the yogurt, lemon juice, and garlic powder until smooth. Stir in parsley. Taste and add salt, pepper, and more garlic or lemon as desired. 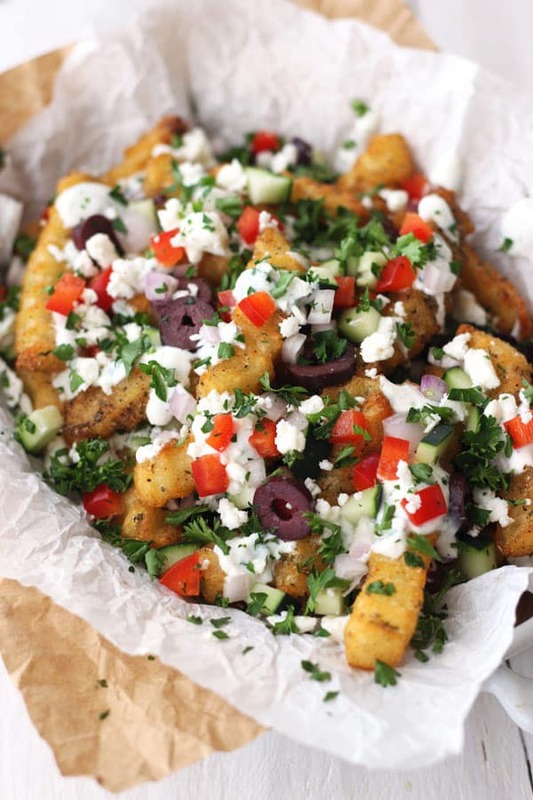 Place half of the baked fries on a plate, dollop with half of the yogurt and sprinkle with half of the toppings. Create a second layer with remaining fries, sauce, and toppings. Sprinkle with fresh parsley and add lemon wedges for squeezing. Then dig in! Start by grabbing a bag of your favorite frozen fries. 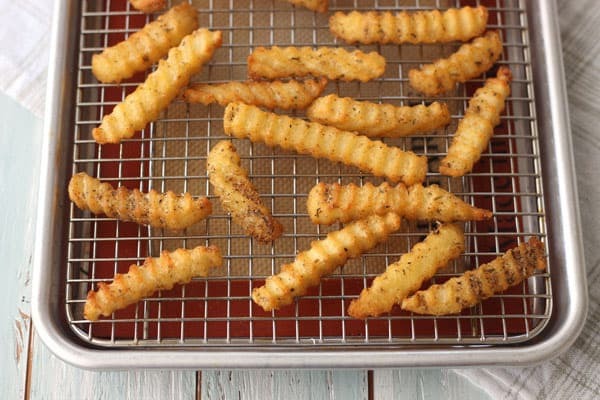 Crinkle fries (traditional or sweet potato variety) are great for loading up with toppings. 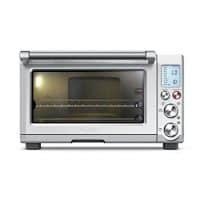 Next, adjusting the cooking rack in your toaster oven to the lowest position and preheat according to the directions on your bag. 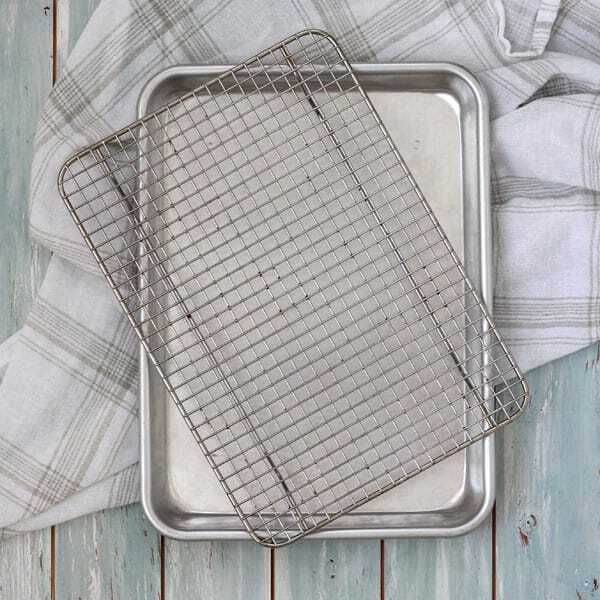 Place a metal oven-safe baking rack inside a rimmed toaster oven-sized pan. 1/4 teaspoon each dried oregano, cumin, garlic powder, fine sea salt, and black pepper. * To reduce the amount of oil, you can spray the fries lightly with oil or cooking spray instead. Stir everything well to coat and then arrange the fries in an even layer on the metal rack. 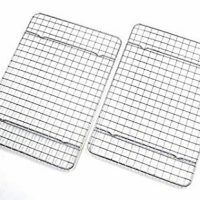 Bake in your toaster oven according to the package directions until crispy. 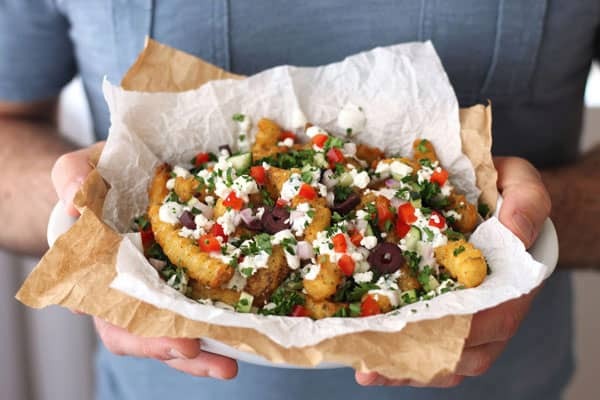 While the fries bake prepare the yogurt sauce by whisking together 1/4 cup plain Greek yogurt, 2 teaspoons lemon juice, and 1/8 teaspoon garlic powder until smooth. Then, stir in 1 tablespoon of fresh parsley. Give the sauce a taste and add salt, pepper, and more garlic or lemon as desired.